A clear skin product for oily and overactive skin with 99% naturally derived ingredients. Andalou Acai + Kombucha Oil Free Moisturizer has fruit stem cell complex with Argan stem cells, Acai berry, and Kombucha probiotics to nourish and fortify. Aloe vera polysaccharides soothe and condition the skin with oil-free hydration for a clear, balanced complexion. 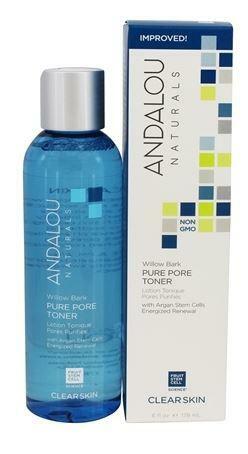 How to use Andalou Acai + Kombucha Oil Free Moisturizer Daily. Apply to clean face and neck. Packaging; Recyclable tube and box. Check local recycling for pump.